Influenza illness is a respiratory infection with particularly serious complications in children, the elderly, and immune-compromised people. 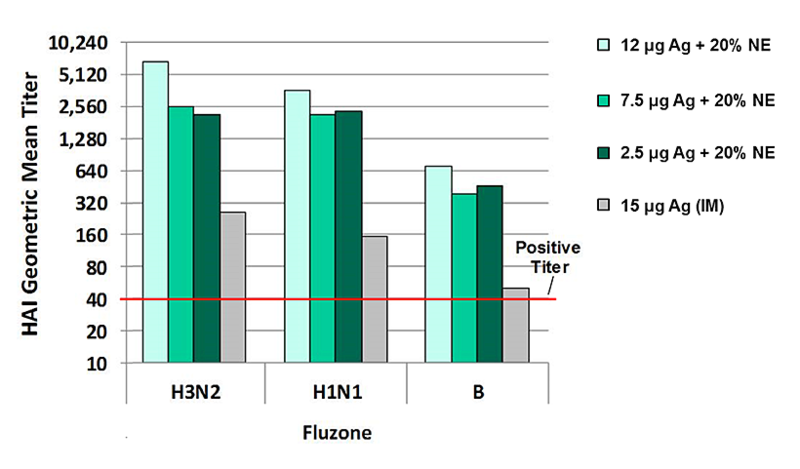 The illness is caused by influenza virus types A and B. Antigenic drift necessitates the production of new influenza vaccines annually. Active immunization is a mainstay for preventing influenza illness. However, current seasonal influenza vaccines have suboptimal efficacy and a significant proportion of the population goes unvaccinated each year. Intranasal administration of a NE influenza vaccine offers the potential of enhanced protection via its ability to elicit both a mucosal and a systemic immune response, and it provides an option for individuals that prefer needle-free administration. When used with intranasal vaccination, BlueWillow’s nanoemulsion (NE) adjuvant elicits both mucosal and systemic immunity. To date, BlueWillow has tested its NE adjuvant in combination with various seasonal influenza antigens in mice1,2, rabbits, ferrets3, and, most recently in man4. Following completion of a large IND-enabling toxicity study in rabbits, the FDA approved BlueWillow’s IND application for NB-1008, an intranasal NE-adjuvanted seasonal influenza vaccine administered via a nasal dropper. 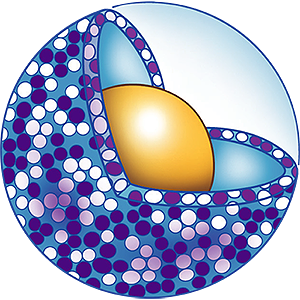 BlueWillow proceeded to complete a randomized, controlled Phase 1 study in the United States involving 199 healthy human volunteers. The primary endpoints of the study were safety and immunogenicity as determined by neutralizing serum antibodies.